At Provide, our central driving value is the belief in the fundamental and inherent worth of all people—including those who cause us discomfort. Often, this discomfort is a product of stigma: the negative view we hold of people because of a certain quality or circumstance. As providers of abortion referrals trainings, working with partners in fields that include domestic violence, HIV, and substance use disorder, stigma sits at the forefront of our work as well as that of many of our partner sites. Only by recognizing and working against stigma can we create systems that can truly provide patient-centered care for our clients. To that aim, we’re introducing a six-part blog series on stigma – how it shows up in health care and social service delivery; how to identify signs and symptoms of stigma at the individual, environmental, and structural levels; how to identify stigmatizing behaviors; and how to contribute to a stigma-free workplace. 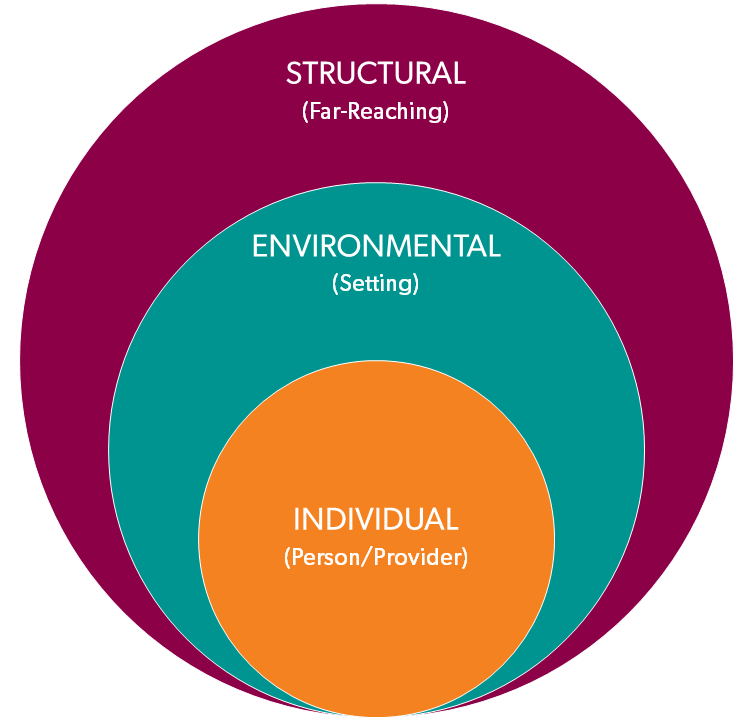 Part 1: How does stigma show up in health care and social service delivery? Stigma is an attribute of a person or group of people that is viewed negatively and may lead to avoidance, bias, stereotyping, and discrimination. Some examples of stigma in health care include not wanting to touch a patient living with HIV, refusing treatment to someone perceived as a drug user, and judging a pregnant woman who discloses having several children already or who doesn’t want to be pregnant. 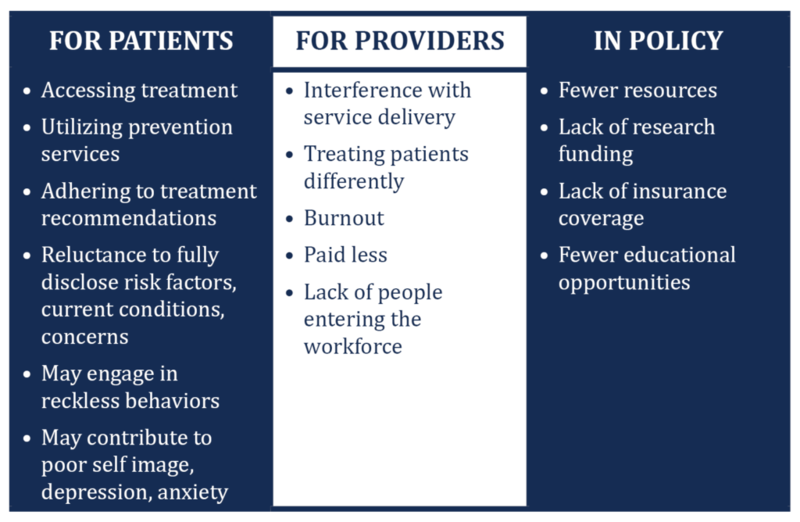 Healthcare providers can also experience stigma, for example, when a community doesn’t allow a provider to open an office because they don’t agree with the services that are being offered or are worried that the provider will bring “the wrong kind” of people into the community. These levels are interconnected. An individual’s stigmatizing thoughts and behaviors can influence the environmental and structural levels. As individuals, it is at this level that providers have the greatest ability to identify stigma and implement change.